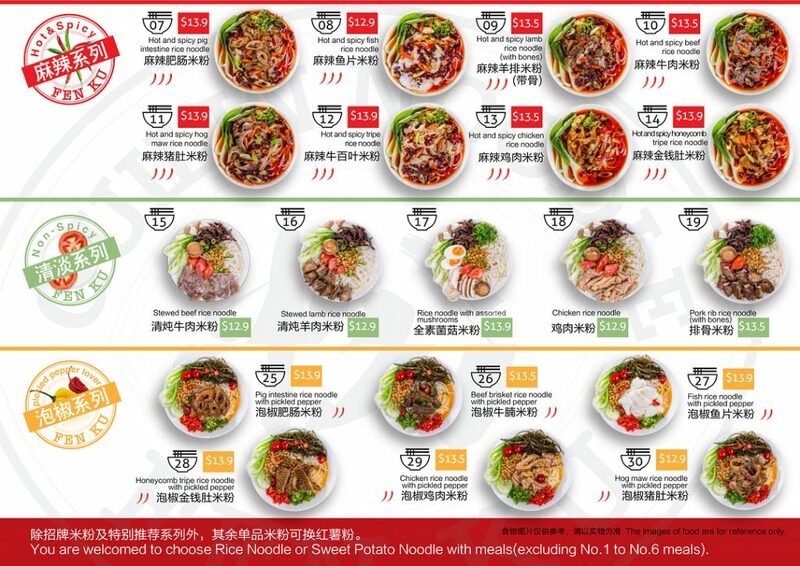 Fen Ku (translated from the Chinese phrase literally meaning noodle bar) is one of very few Guilin rice noodle bars on the coast offering authentic Chinese noodle soups, similar to Japanese ramen. With options for non-spicy, hot and spicy, and pickled-pepper lovers, the standout dish is the popular rice noodles with roast crackling pork and brined beef. Diners can choose from traditional rice noodles or sweet-potato noodles and can expect tasty broth made fresh every day.